Topological crystal insulator (TCI) and topological Dirac semimetals have topologically nontrivial surface and bulk state, respectively. 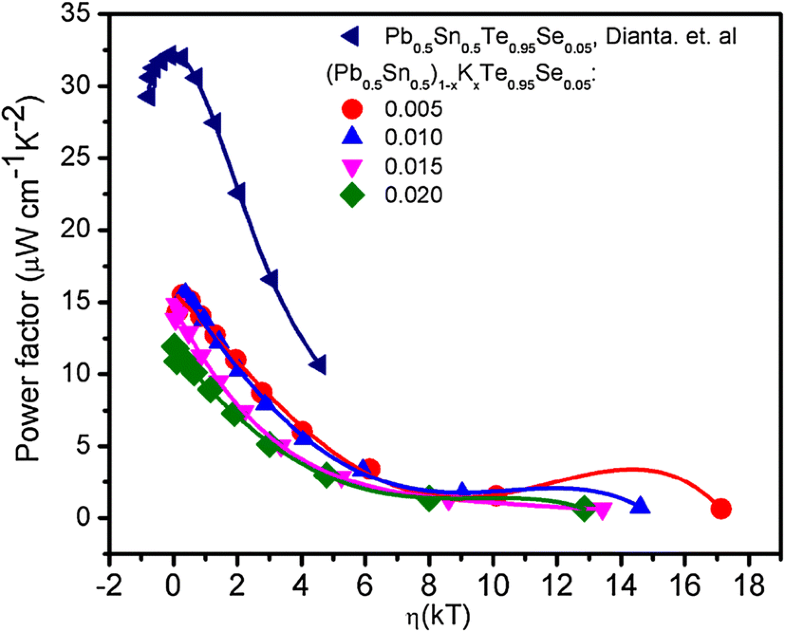 The parent compound of Pb0.5Sn0.5Te exhibiting TCI band inversion has particle-hole symmetry owing to the gapless Dirac band implying a strong electron–hole bipolar compensation in Seebeck coefficient. We recently reported that weak perturbation of TCI state can enhance thermoelectric performance significantly due to highly dispersive and degenerated energy bands. 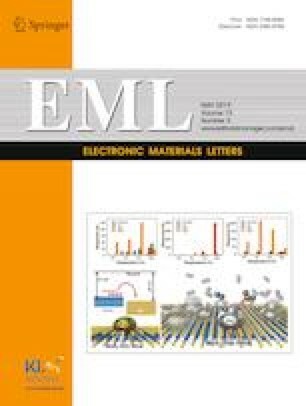 It is a great interest that the further increase of chemical potential has beneficiary to thermoelectric performance in the vicinity of topological phase transition. Here we investigate the thermoelectric properties of the co-doping effect by K and Se in (Pb0.5Sn0.5)1−xKxTe0.95Se0.05 (x = 0.0, 0.005, 0.010, 0.015, 0.02) compounds. K-doping increases the band gap from 0.15 eV (Pb0.5Sn0.5Te) to 0.21 eV (x = 0.05) as well as increasing chemical potential resulting in the suppression of bipolar diffusion effect. In spite of the suppression of bipolar diffusion effect by K-doping, the power factor in K-doped compound is decreased significantly than the one of non-doped Pb0.5Sn0.5Te0.95Se0.05 compound. It indicates that when we increase chemical potential further on the breaking of topological band inversion, the thermoelectric performance is deteriorated because the chemical potential resides far from the linear band dispersions which become conventional material. The ZT for the K-doped (Pb0.5Sn0.5)1−xKxTe0.95Se0.05 is obtained as 0.91 at 750 K for x = 0.017 which is increased as much as 99% comparing to the pristine compound Pb0.5Sn0.5Te but it is reduced value (51.5%) comparing to those of Pb0.5Sn0.5Te0.95Se0.05 compound. We believe that this research is valuable on the confirmation that the weak perturbation of topological state and appropriate chemical potential tuning are important criteria in high thermoelectric performance. This work was supported by Nano-Material Technology Development Program through the National Research Foundation of Korea (NRF) funded by the Ministry of Education, Science and Technology (2011-0030147), J.-S. Rhyee was supported by the Materials and Components Technology Development Program of MOTIE/KEIT (10063286), and S.-J. Kim acknowledge support by the National Research Foundation of Korea (NRF) Grant funded by the Korean Government(MSIP) (NRF-2015R1A5A1036133).